Choosing work jackets for your staff can prove a difficult task. Finding jackets that are comfortable and durable is key, but they should also suit the type of work undertaken and even help to make life easier, if necessary. If you are still confused as to which work jackets to buy, allow our expertise to help narrow down your options. In particular, we can highly recommend the Ultimate Gryzko® Jacket - and here's why. When choosing the right kind of workwear jacket for your staff, finding one with lots of pockets makes sense. If staff need to carry around tools, small items of equipment or even just their mobile phone and a pen, having pockets in a jacket can prove a lifesaver. Even when you don't need to carry anything around, those useful, deep pockets are just the job for keeping hands warm when working outdoors. 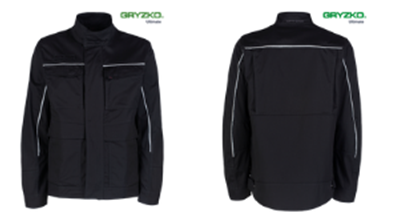 The Ultimate Gryzko® Jacket scores top marks when it comes to the number and sizes of pockets. You not only get upper and lower pockets on the outside of the jacket, but there is an inside top pocket, too. If you need to bend, stretch or move around frequently during work activities, finding a jacket that affords flexibility and offers a comfortable fit will be your top priority. This is where the Ultimate Gryzko® Jacket really excels, as it has been designed and made with comfort in mind. An inner waistband and adjustable hem, for example, make this jacket a pleasure to wear, even for extended periods of time. Crucially, when staff feel comfortable during work, they'll perform to their maximum potential. A workwear jacket may be required for practical purposes, but that doesn't mean to say that it should look dull. Your employees will feel happier wearing a work jacket that is as stylish as it is practical, and this is one aspect where the Ultimate Gryzko® Jacket won't let you down. This jacket exudes a contemporary and fashionable flair and will blend in perfectly with many other workwear items. The beauty of this jacket is that it's also available in a wide choice of colours, so is ideal if you demand a workwear jacket that corresponds with the tones of your company branding. A good work jacket should stand up to the rigours of daily tasks, so always opt for one that has been well made and constructed using high-quality materials. This ensures that the jacket stands the best chance of enjoying a long lifespan, without you needing to replace your workwear sooner than you had anticipated. In particular, as with the Ultimate Gryzko® Jacket, choose a workwear jacket that has triple stitching on all seams. Look for a jacket that is suitable for industrial washing, so that it can withstand a rigorous clean and still look in great condition over time. This is another attribute that you can expect from the Ultimate Gryzko® Jacket.